The official 2018 Brazilian Série A team of the year is set to be announced imminently. This is the Brazilfooty lineup. He was a relative unknown until this year, but his heroics helped keep Ceará in the top division. Scored a goal too. There were no stand out candidates for this spot so I am giving it to young Emerson, who has been excellent after breaking into Atletico’s team in the middle of the season. Mayke and Marcos Rocha shared responsibilities in the position for champions Palmeiras, while the Corinthians right back Fagner spent a lot of time on the treatment table. Head and shoulders above the rest – literally and figuratively. His good form guided Cruzeiro to another Brazilian Cup, a Libertadores quarter final and a respectable 8th place finish. Has earned a series of Seleção call ups thanks to the good form. Helped Internacional into a very respectable 3rd place. Solid form throughout the year kept Flamengo’s title dream alive until the end. Every team needs a water carrier and Colombian international Cuellar has done that pretty well for Flamengo this year. With Cuellar cleaning up, Bruno Henrique would be able to get forward and do what he does best for Palmeiras. He scored an impressive nine goals from central midfield and captained Palmeiras to their 10th league title. Best player in the league this year. His solid good form in the early part of the season saw him put on Tite’s World Cup standby list. Since then he has been even better. 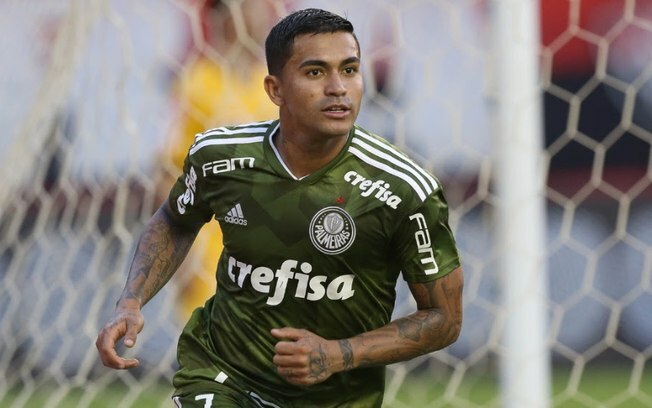 He was the talisman for Palmeiras as they went unbeaten in the second half of the season. The calls are growing louder for him to be given a game for the Seleção. 14 assists and 6 goals in 31 games. His form dipped towards the end of the season, but he was the key man for Flamengo for most of the campaign. His form earned him a move to AC Milan and a call up to Tite’s squad. 10 goals in 32 games. Both Manchester clubs are looking at this fella. Pace, skill and an eye for goal. He didn’t play that many games since the Gremio coach rested his best players in many league games, saving them for cup matches instead. Despite that, Everton still managed 10 goals in 24 games. Dudu down one wing and Everton down the other. Boom. The obvious candidate was Gabriel Barbosa, who ended as the top scorer. Deyverson was another strong candidate, given his goals for Palmeiras. But Pedro was so good before he got injured that he gets my nod. He did more in half a season than most did the whole year. 10 goals in 19 games. Fluminense only stayed up on the last day of the season. Without Pedro’s goals they would be playing in Serie B next year. This entry was posted in Brasileirão, Serie A and tagged Éverson, Bruno Henrique, Cuéllar, Dede, Dudu, Emerson, Everton, Lucas Paquetá, Pedro, Renê, Víctor Cuesta by Brian Davidson. Bookmark the permalink. The list shows the balance of the Brazilian league, since only two players from the second season unbeatable Palmeiras appear in it. A highly disputed league with so many candidates for the title. What happened to Luan (Gremio)? He was the best player last season right?